"On behalf of the HM Graphics' ownership group, leadership team, and HM's employees, thank you for your efforts and strategic guidance. We could not have achieved the desired goals without PPC's leadership and expertise." For nearly 50 years, HM Graphics Inc. has provided a spectrum of award-winning print management services to top-tier customers out of its single-source location in suburban Milwaukee. From initial creative services to final materials fulfillment, HM Graphics’ formula has been simple: combine technologically advanced systems with exceptional project services management. Through an introduction from a Midwest-based private equity group to a HM Graphics Board Member, the HM Graphics team approached Promontory Point Capital to assist in evaluating several financial and strategic objectives of importance to the family-ownership group. 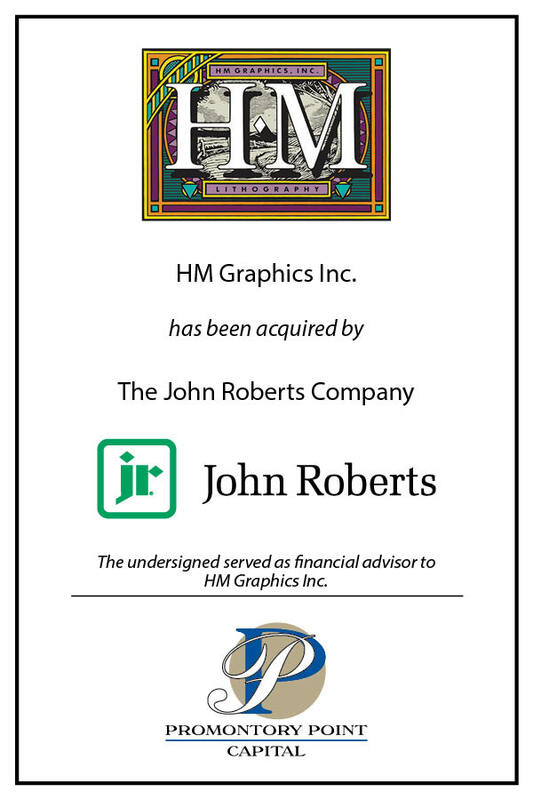 A targeted process led by PPC concluded that the ideal strategic partner for HM would be The John Roberts Company, a family-owned leader in specialty print services based in Minneapolis. The John Roberts Company offers commercial printing and packaging, as well as a range of cross media marketing services that includes web, offset, digital printing, logistics, and campaign analytics. These products and services were the perfect complement to HM Graphics. In addition to advising HM's ownership group and leadership team, PPC’s engagement encompassed negotiating the Letter of Intent, administering all aspects of the PPC-hosted online data room, managing all due diligence activities, assisting in vendor & management discussions, providing input to the the final legal documentation and negotiations, and finalizing the closing funds flow. With the ability to leverage the scale and capabilities provided by The John Roberts Company, HM Graphics is now uniquely positioned to service its clients with a broader spectrum of solutions. HM Graphics’ employees and customers will now benefit from a stronger, more diverse business with s ignificant cross-selling opportunities now offered by the combined operations. PPC closed this transaction during the first quarter of 2019. Read the press release. Promontory Point Capital is a Milwaukee-based investment banking firm focused on the needs of Midwestern privately-held businesses. Since being formed in 2004, our firm has led over 125 client engagements including the arrangement of debt and equity financing, the evaluation of business sale and recapitalization options, and the planning and execution of growth strategies involving acquisitions, mergers, and joint ventures. Ownership Planning: We are frequently introduced to owners or senior management teams when owners are interested in learning about their options involving a potential sale of all or a portion of their business. We have arranged transactions involving strategic partners, private equity firms, ESOPs, management buyouts, and other types of shareholder “recaps” including both minority and majority recapitalizations. Financing: A company may have either short-term or long-term funding needs that are beyond the comfort zone of its existing senior bank lender. PPC arranges capital for companies including senior bank debt, non-bank debt, subordinated debt, sale-leaseback, and other forms of institutional funding to fund growth, acquisitions, shareholder redemptions, management buyouts, and other corporate purposes. Growth/M&A: A company may have an interest in growing and expanding by acquisition or strategic joint venture and wish to have an initial conversation regarding their strategic growth objectives. 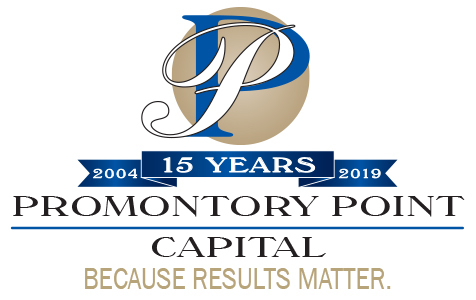 www.promontorypointcapital.com for more information on our firm's capabilities and numerous other client successes.